The human resources department is increasingly facing challenges, so an HR manager has to be prepared to meet such tests and continuously envision steps to improve the company’s welfare. It’s an important job that requires recruiting, hiring and retaining skilled employees to enable the organization to achieve its mission. You must also help your managers to become coaches. In this way, you’ll optimize your talent management. When managers become coaches the organization benefits from a higher-performing workforce. You’ll have replaced mediocrity with strong performance. To reach profit goals, leading organizations regularly assess the performance of their human resources programs. So use best practices to evaluate your HR performance. The workplace must have an efficient environment to promote productivity. So an accomplished HR manager must have several competences and skills – many of which are closely related. So if you’re aspiring to become an HR manager or want to become more expert in your work, you must possess at least five traits. You should have a wide-ranging awareness of your responsibilities to effectively operate an exceptional HR department to promote a positive culture. This entails compensation and benefits, employee development, employee retention and experiential training, incentives, industry knowledge, an understanding of all applicable laws and regulations, and planning and communication with senior management. Since healthcare insurance is a major expense, you must do your part to manage health costs. You should be confident and project an air of confidence about your department. Your communication skills should be assertive vis-à-vis aggressive. You need to be fully cognizant of your company’s goals and create and implement policies that will help the organization’s cause. You must be flexible and engage in continuous learning about HR trends that benefit the firm. A salient characteristic of leadership is strategic thinking. If you’re ambitious, the ability to be a strategic planner is critical for your success. Your role includes inspiring the workforce to the highest-possible efficiency and performance. Almost needless to say, you must take all reasonable measures to maintain high morale. This means enhancing trust and employee confidence in the organization. This is accomplished by building by employee engagement, which will solve employee absenteeism issues. Social media affects your company’s culture – probably as much as the employees who engage in water cooler gossip. Your company’s reputation is affected internally and externally by social-networking sites. So use social media for the best employee morale and culture. You must be accessible for employee communication and morale. Relationship-building is a crucial component. While it’s true there are companies that are aware that good morale among employees propels profits, make certain your company doesn’t miss opportunities for growth. It’s not because of marketing. It has to do with internal issues. Take steps to eliminate the typical trust gap between managers and workers. With transparency playing an important role in communication, you must keep an open door policy. And you must be skilled in inter-personal relationships. Figuratively, you must have an antenna to anticipate and prevent employee issues. 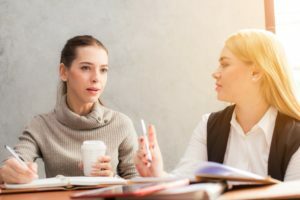 But if employees have a grievance, you must demonstrate you’re hearing what they have to say – acknowledge any employee concerns and make sure you fully understand the problem. If a particularly serious problem should arise – such as discrimination or harassment issues – you must deal with it immediately. You must use best practices in workplace investigations. That includes being expert at analysis of the root causes, and developing and implementing the solutions.